Felting needles are barbed needles used to interlock wool fibers. As the felting needle is moved up and down the barbs on the needles catch the scales of the wool and entangle them creating a material called felt. Triangle needles are three sided needles. The 40 gauge is excellent for fine detailing and sculpting. 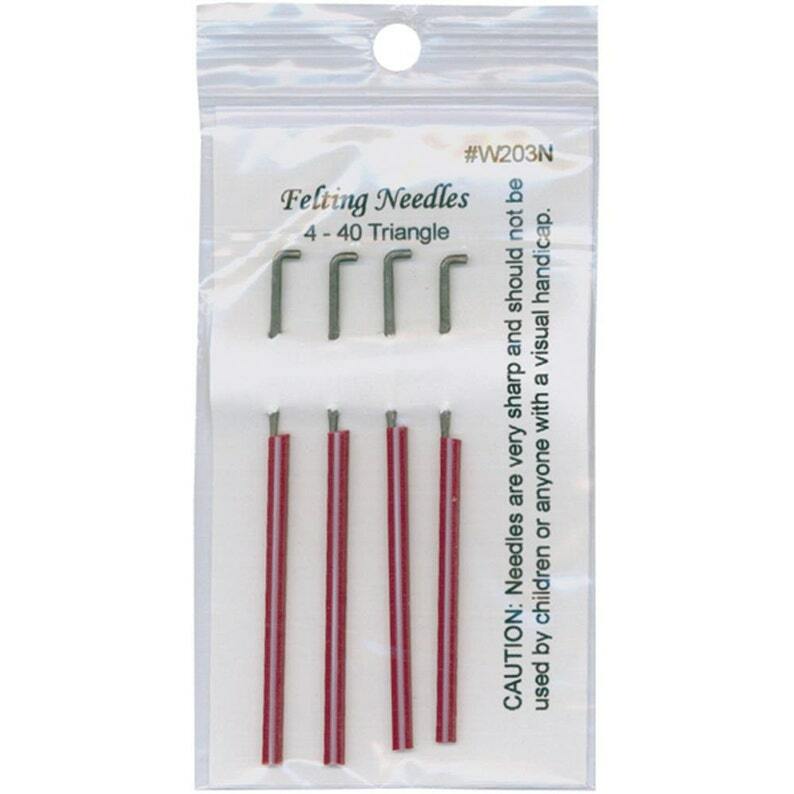 This package contains four 40 gauge triangle needles. Made in USA.